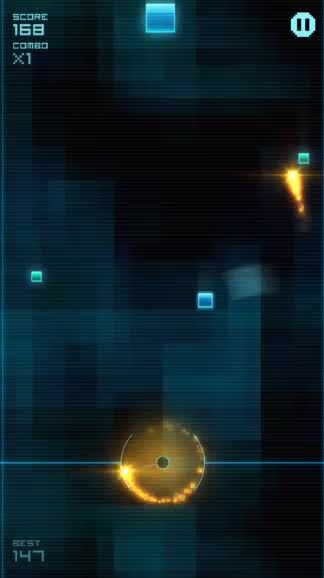 Blokshot Revolution (Free) by Foxhole Games LLP is an arcade shooter where momentum is the main weapon. 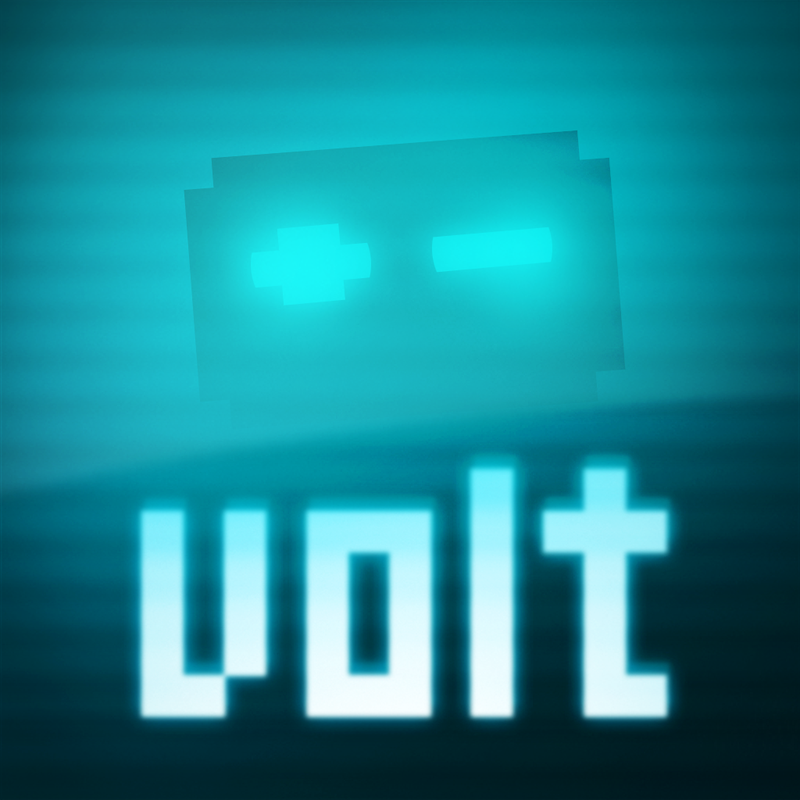 If you enjoy physics-based games like Volt and Gentlemen…Ricochet Mini!, then you will get a kick out of Blokshot Revolution. When it comes to games on my iPhone, I have grown fond of arcade titles where I can play for a brief amount of time before continuing on with my daily activities. Arcade games are the best for this since games don’t last for more than a few minutes at a time due to the fast pace and action involved. 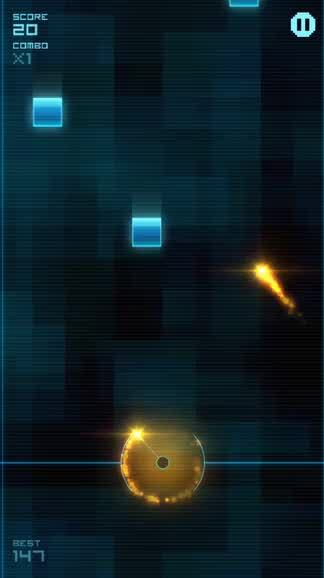 As I was browsing the App Store over the weekend, I came across Blokshot Revolution and was intrigued by what looked like a simple game. After spending some time with it, I can say that it is not disappointing if you are into these types of games to begin with, though it can be a bit frustrating. The visuals in Blokshot Revolution are gorgeous. 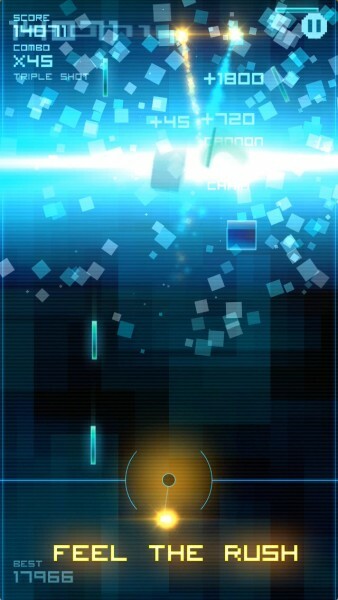 The game consists of a simple dark background that has a geometric pattern, and the abstract falling blocks and shots that you sling are captivating with their bright and vibrant colors. When shots hit the blocks, the screen gets filled with cool particle explosions, and everything runs incredibly smooth, so there is no lag. 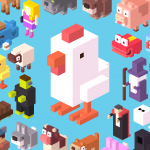 The EDM soundtrack gets you into the zone and fits in with the cool graphics nicely. The sound effects in this game are subtle but quirky. There is only one game mode in Blokshot Revolution, and that is essentially an endless survival mode where you try and last as long as you can while racking up the points. The game mechanic is simple: hit as many of the falling blocks as you can with your slingshot’s fireballs. However, this is easier said than done, since the slingshot gains momentum by going around in circles before you launch it. Timing and accuracy are crucial if you want to get a high score. After three consecutive hits, you will get the triple shot power-up, which helps out immensely if you time it correctly. 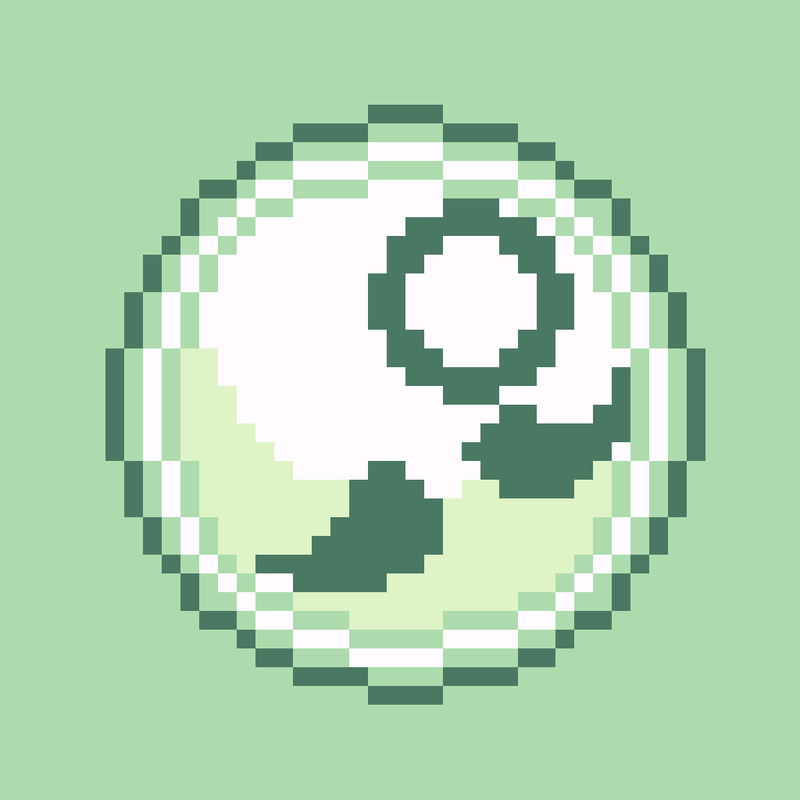 Controls in the game are simple and easy to learn, considering that it is all done through one touch. To build up momentum for your slingshot, just tap-and-hold anywhere on the screen. The fireball will begin to rotate clockwise. To send it flying, just release your finger from the screen. While it will bounce off of the side walls, once it reaches the top of the screen, it will be gone, so be careful. Players can send out as many fireballs as they like — there’s no cooldown or recharging time, so you can send out another one immediately. In addition to getting the triple shot, consecutive hits mean more points per hit as well. The game starts off fairly slowly, but then the speed picks up and smaller, harder-to-hit blocks start showing up. 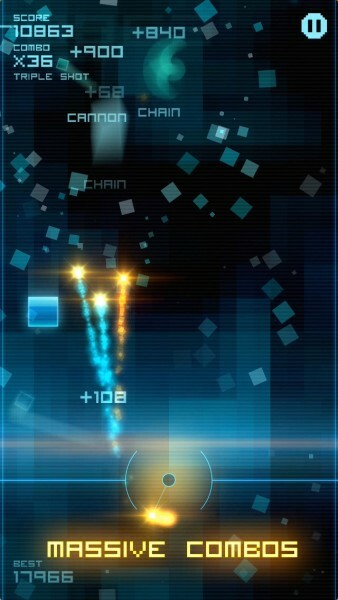 The line at the bottom of the screen indicates the base level, but you can still flick shots at blocks from below this line. 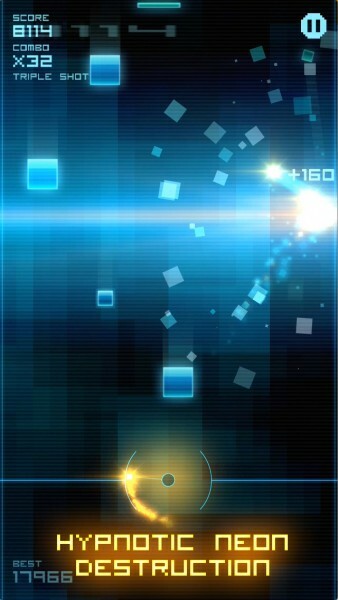 However, if a block reaches the very bottom of the screen, then it’s game over. So far, I’m enjoying the game, even though it does get difficult and infuriating at times. 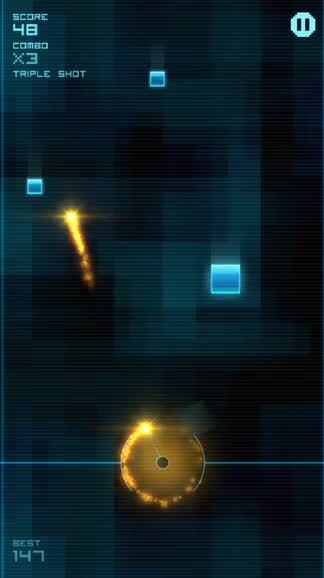 Blokshot Revolution is all about skill, since there are no power-ups to collect or buy. It’s the perfect little game for chasing high scores and competing with friends thanks to Game Center integration. 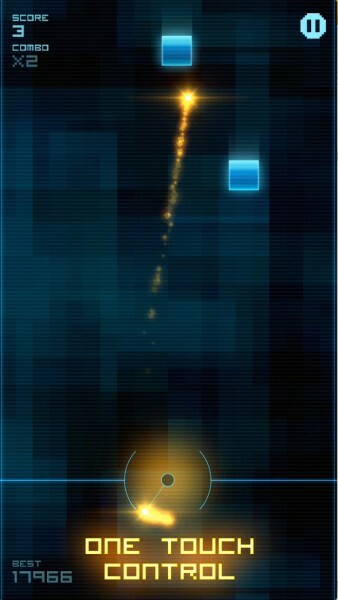 However, the game is free and supported by ads, which you can remove by going for the $1.99 in-app purchase. As an extra incentive for the IAP, it will unlock the full EDM soundtrack, so it may be worth it if you like what you hear (and see). I’m always a fan of challenging little arcade games, and Blokshot Revolution is one that is worth checking out if you’re into these types of titles. 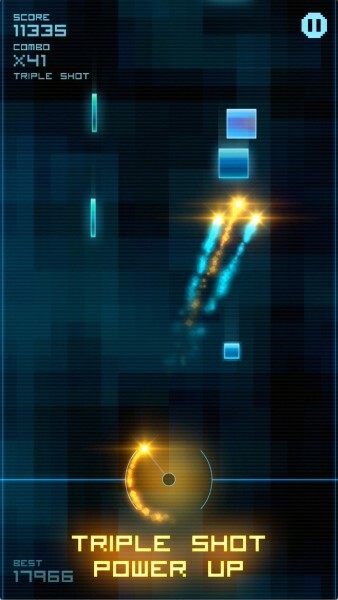 You can find Blokshot Revolution on the App Store as a universal download for free with in-app purchases.